Lately signs of Autumn have made themselves a little more known around here: dried leaves are starting to fall so I can crunch them as I walk (thank you, leaves), the air is becoming a bit crisp in the morning, and temperatures have taken a tip (frost on the car windows this morning). I love Fall weather because it means two things: Christmas is on the way and I can wear jackets and coats...all the time! When the thought of posting about coats came to mind, I immediately thought Burberry. I recognize that most of us can't afford to do our holiday shopping (for others or for ourselves) from some of the top brands and houses (e.g. Burberry, Fendi, Chanel, etc), but these are great places to go when looking for ideas on that perfect style. You know when you're watching a movie and this or that actor is wearing an awesome suit or coat? 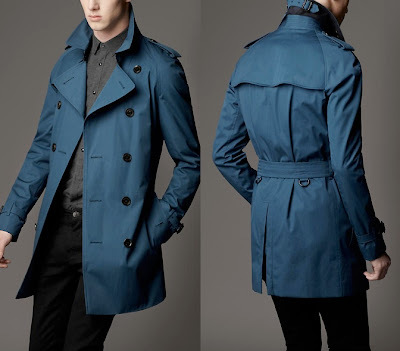 They often get these from places like Burberry. Trench coats are generally found in classic light brown, off-white, and black; however, I found this green one to be quite bold and fresh. Pea coats normally look a little too big and lumpy on men, but this one does it right: note the good athletic fit to it. 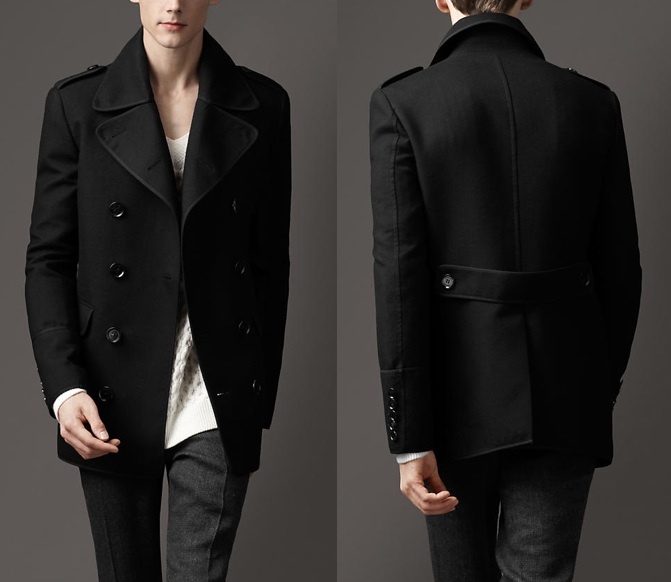 I like the epaulettes and the unconventional 5 buttons at the cuff (most jackets and coats have fewer than that). A simple look, but a classy one. 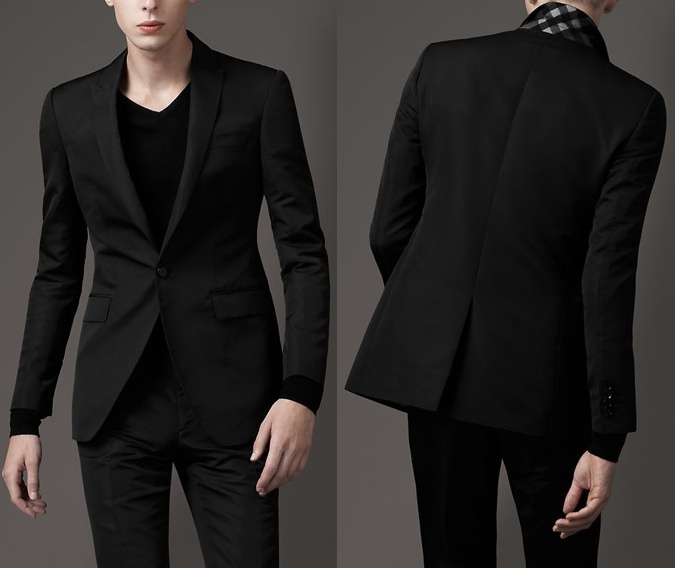 Finally, this black blazer looks great. It is, again, a very simple design, but you can wear one of these with some nice dark jeans (emphasis on 'nice') for a distinguished casual look for those holiday parties and gatherings. 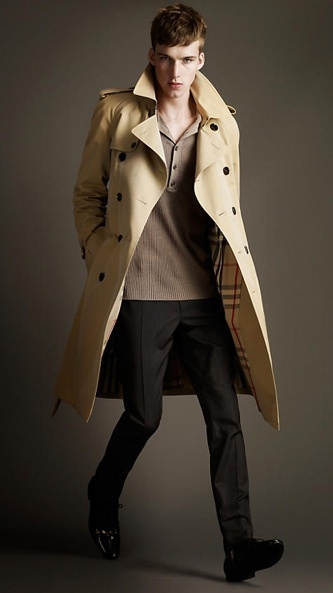 All in all, Burberry is more than I can afford, but they are one company that I can always go to for inspiration and ideas on how to be the perfect (well-dressed) gentleman.